I love Christmas and I like to have as much fun with it as possible. 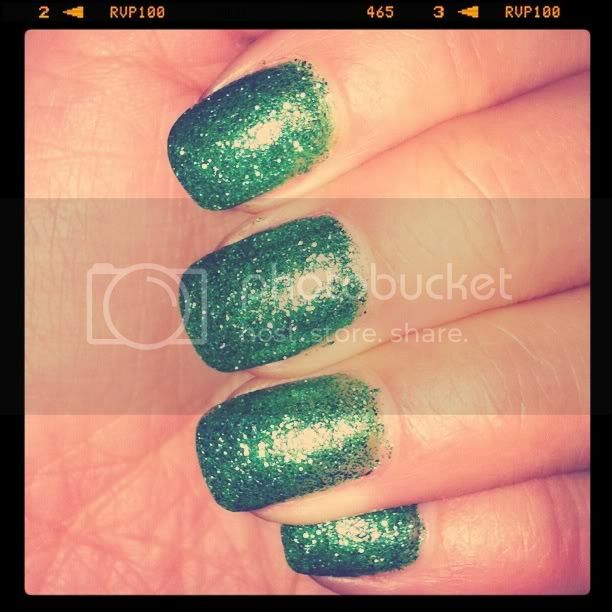 So that's how my nails became a glittery green. Even though I might be bundled up in black and grey at least my nails can have the Christmas present. They look like tree ornaments. It was pretty easy just a base coat of a light green and then a few layers of green sparkles. How are you tying in the Holidays into your everyday wear? I got these professionally done, I can't paint my nails without getting it all over myself. Awesome. Merry Christmas to you too. How fun!! I want candy cane nails now. Wow, I love these glitter nails! Check out my fashion blog and follow if you like it! ooohhh pretty festive nails. my nail polish chipped the other day.